Sunny Portugal has a reputation for offering expats a fantastic quality of life, even topping the InterNations global index in 2017. The stunning Atlantic coastline, the friendly people, the scenic cities with their peaceful streets – it’s no wonder so many people are choosing to start a new life in the sunshine. And we’ve not even mentioned the custard tarts yet! But before you set foot in your new home, take a look at these things every expat should know before moving to Portugal. The leisurely way of life in Portugal is undoubtedly a huge draw for many expats, especially if you’re moving from a stress-fuelled city. However, as intoxicating as the slower pace of things is, you’ll soon discover that it extends to official matters too. Public institutions move slowly, bureaucracy is rife and many places of business close for at least two hours for lunch. It’s also often impossible to make appointments in advance. You simply have to turn up, take a ticket and wait as long as it takes. We recommend bringing a good book whenever you go out to take care of some life admin. The Portuguese are avid readers and literature is hugely respected here. From the Joanina Library in Coimbra to the oldest bookshop in the world, Bertrand Bookshop in Lisbon, there are no end of beautiful places for book lovers to explore. If your Portuguese is up to the job, delve into some of the country’s famous lyrical poetry. While the cost of living in Portugal is happily low compared to much of Europe, some things can be costlier than you might be used to. Prescription medicines for example, are charged based on the price of the drug, rather than at flat rate as they are in countries like England. Medicines for terminal and chronic illnesses are subsidized. If you can’t already speak Portuguese, it pays to learn the basics before you arrive. While many people can speak English, especially in cities like Lisbon and tourist areas like the Algarve, making the effort to give the right greetings, thank people and order your food and drink in Portuguese will instantly endear you to people. A little effort goes a long way! Portuguese cuisine offers up a whole world of deliciousness. Dive in feet first and you’ll be rewarded with a wealth of taste sensations. 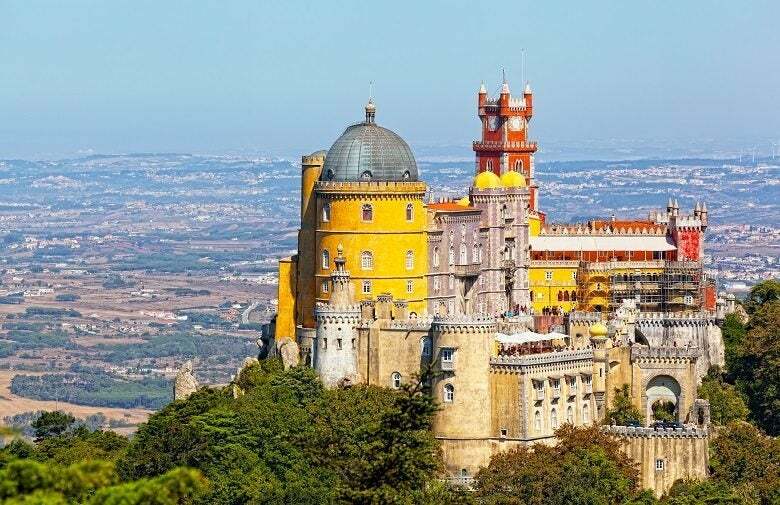 Sample the regional dishes as you explore the country, hit the street food stalls and splash out in Lisbon’s fine dining restaurants for the best of Portuguese gastronomy. Favourite dishes include baculhau (a traditional codfish classic), cataplana de Marisco (a mouth-watering seafood stew), pata negra (smoked ham), sardinhas doces (sweet sardines), and amazing Portuguese wines. Portuguese houses are designed to keep you cool in summer – and they do a good job of it. However, come winter you might find things get a bit chilly indoors. Central heating is rare so be prepared to fork out for your own heaters to keep you cosy. Luckily the winters are pretty short! This can be a pro or a con, depending on your perspective. If you’re moving to Portugal with children, you couldn’t have chosen a better place. Children are warmly welcomed everywhere from restaurants to festivals and the whole country is seriously family-orientated. Your kids will love all the attention and there’s always someone willing to entertain them while you get to enjoy a drink in peace. Exploring this beautiful country is a must. And one of the best ways to do that is by using public transport. Trains and buses are generally very affordable, with tickets starting around the €1 mark. The high-speed coaches that link all of Portugal’s top towns are the fastest way to travel, while the trains have a slower but charmingly European feel. Driving in Portugal can be expensive, with high petrol prices and lots of toll roads. Road safety records aren’t great either. The Portuguese climate is said to be the best in Europe with, on average, 10 months of sunshine every year, up to 29 dry days per month and summers that are warm without hitting those uncomfortable highs. While temperatures in neighbouring Spain often hit the 40s during the height of summer, Portugal’s westerly location keeps it in the pleasant 30s. And there’s always a lovely refreshing breeze along the coast. Dining out in Portugal is joyful experience with affordable prices and dazzling food. A few tips though: don’t assume the selection of starters that appear on your table are complementary, veggies – look out for vegetable soups with pieces of meat in them served up as ‘vegetarian’, be prepared to share a table, and tip between 10-15% depending on the level of service. Football, or soccer, is huge in Portugal. Home to world-class clubs, such as FC Porto and Sporting Lisbon, the country wholeheartedly embraces its national sport, showing big matches in even the swankiest restaurants. Head along to a match to soak up the electric atmosphere. You can grab a ticket at very reasonable prices. NASA scientists found that the environment in Cabeço de Vide, a tiny village in the south of the country, is incredibly unique. The geology and thermal waters here have similarities only with those found on Mars (and a small area in the US), strongly suggesting this could be where the asteroids fell that sparked the beginnings of life on our planet. What a place to live!